!! OMG, they hate bloggers: Beerland !! I didn’t realize how lucky we were to get two VIP passes to live-Tweet the SPIN magazine Courtney Love show at SXSW. 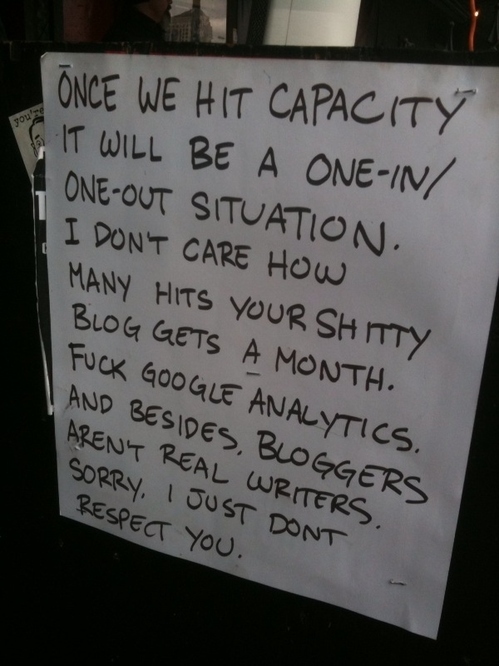 The venue, Beerland, had this sign posted at their door. 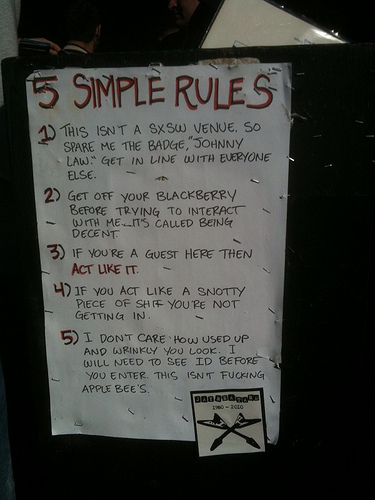 They also have a very sassy list of “5 Simple Rules” you can check out after the jump. Whatever happened to Texas hospitality? 1 Comment on "OMG, they hate bloggers: Beerland"